With respect to policymakers at all levels, the opportunity is to bring them a legislative approach that stresses enhancing equity of opportunity for all students to succeed at school and beyond (i.e., by improving how schools address barriers to learning and teaching and re-engage disconnected students). And rather than calling for more funding at this time, the focus of such an approach can be on a policy shift to catalyze system changes that will result in more effective use of resources already allocated for student and learning supports. The aims are to ensure schools do not marginalize student/learning supports and to guide them in the development of a unified and comprehensive system at every school. As our work stresses, the key catalytic shift needed is to reframe policy for improving schools as three primary, essential, and integrated components. That is, besides the continuing emphasis on improving instruction and the governance/management of schools, the fragmented and disorganized efforts to address barriers to learning and teaching and re-engage disconnected students would be unified into a fundamental school improvement component. The benefits of fully integrating the third component into school improvement policy not only includes enhancing academics, but strengthening efforts to enhance students' personal and social development and functioning. Providing guidelines that include standards for student/learning supports practice and related quality indicators (see prototype [PDF]). If we are to get back to real basics in schools, we need to focus on establishing a fundamental policy shift that can transform schools. This is starting to happen in various districts and state education agencies across the country that are trailblazing the move to a three-component framework to guide their school improvement policy and practice. See, for example, the Alabama State Department of Education's catalytic policy shift (PDF) in its design document for a unified and comprehensive system of learning supports. For a peak at other states and districts across the country that are moving in this direction, see Where's It Happening? Trailblazing and Pioneering Initiatives. By focusing on such a fundamental policy transformation, the emphasis on "whole" can become more than just one more initiative; it can be an opportunity to contribute to an essential facet of efforts to transform public education, improve public health, and enhance equity of opportunity. 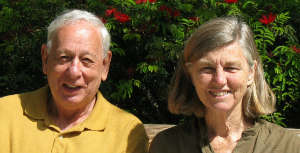 Over many years in the roles of classroom teacher, district support staff, school administrators, and university researchers and teachers, Howard Adelman and Linda Taylor have worked with schools, districts, and state departments to enhance equity of opportunity for all students. As codirectors of the national Center for Mental Health in Schools at UCLA, their current focus is on systemic reforms to enhance school and community efforts to address barriers to learning and teaching and reengage disconnected students. Great post, thanks for sharing. To enhance the equity of opportunity for all students to succeed at school and beyond is the goal of efforts such as P-20 initiatives. Data-driven decision making will be one of the key factors in changing the future of education. A single comprehensive and timely education data standard that ensures usability is key to the success of these types of programs. One more thought: a single comprehensive and timely education data standard that ensures usability is key to the success of these programs. States need to take advantage of the data analysis that is being made available, and turn education data into actionable information that can transform the future of our workforce. Certainly, more money is needed to support innovative systemic change. And we should do everything we can to increase public financing for public education. In the meantime, we need to keep innovation rolling by redeploying some of what is being used in ineffective and inequitable ways in schools, districts, state departments.